An outpost of the popular coffee chain, handily located in the busy downtown Marriott. 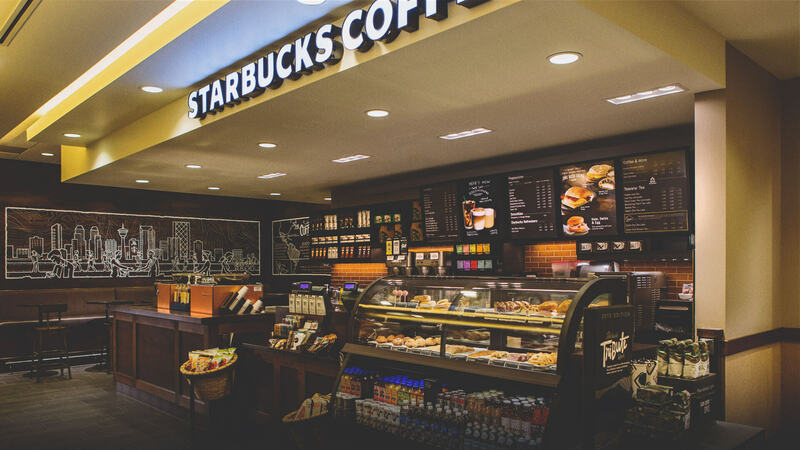 Starbuck's believes delicious, handcrafted beverages and great-tasting food make life better. Visit the Starbucks at the Calgary Marriott Downtown Hotel and you'll agree. Starbuck's serves coffees from around the world to warm you up and wake you up. In the summer time, Starbuck's blended drinks are a cool treat on a hot day. If you're hungry, Starbuck's pastries and sandwiches are made from high-quality, simple ingredients. 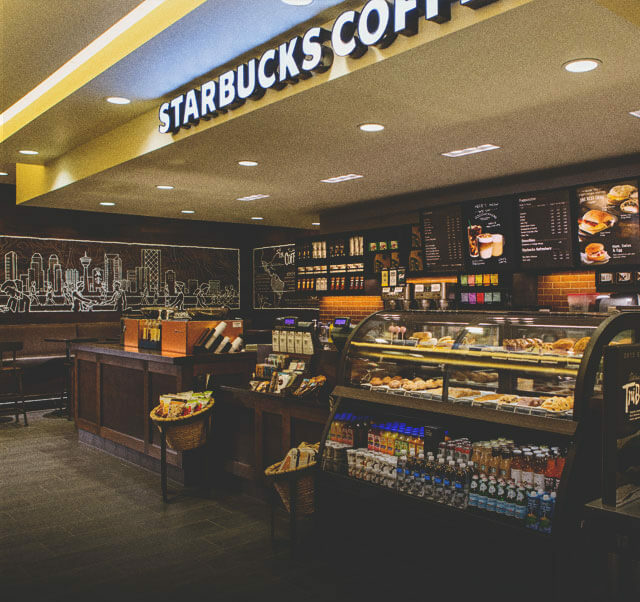 Starbucks at the Marriott hotel is a great place to start your day before heading out on a stroll down nearby historic Stephen Ave. to great shopping, food and entertainment in the downtown core. Get your caffeine fix and grab a snack or light meal before heading out to explore all of the sights and sounds of downtown Calgary. This Starbucks location is the perfect spot to grab a coffee before heading up the iconic Calgary Tower or visiting the nearby Glenbow Museum.